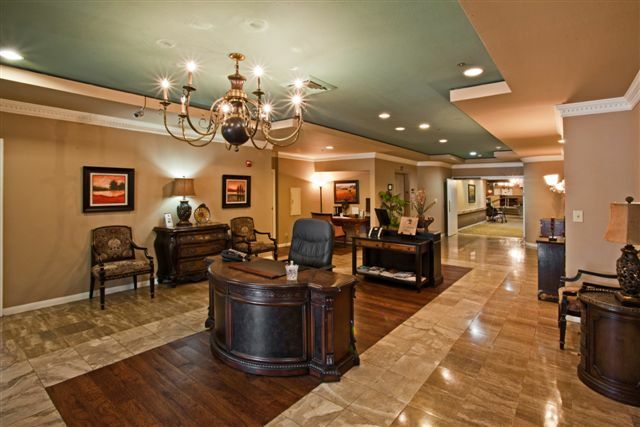 What do Nursing Homes offer in Frisco, TX? When receiving care in a nursing home in Frisco, TX, your loved one will be in a medical environment that is licensed and regulated by the Texas Department of Aging and Disability Services. Long Term Care Facilities, which are also called Healthcare & Rehabilitation Centers, encourage programs that provide institutional care to Medicaid recipients whose medical condition regularly requires the skills of licensed nurses and doctors. Nursing Facilities provide residents with medical, social, and psychological care.These include room and board, social services, over-the-counter drugs, medical supplies and equipment and personal needs items. How Much Should it Cost to Stay in a Nursing Home in Frisco? If you’re looking for info on the cost of living in a nursing home in Frisco, you’ll typically come across two choices. The expense of a single tenant living space versus a double occupant room. As outlined by Genworth’s 2018 senior care questionnaire, single tenant rooms at nursing homes in Texas cost 20-30% more than the cost of sharing a living space with one other tenant. This same questionnaire says the standard price of a single tenant living space is $5,019 a month, while a shared bedroom at a nursing home is $4,319 a month. Take advantage of our research tool or read through our nursing home listings found at the foot of this page. When you are choosing between a nursing home and assisted living care in Frisco, nursing facilities are usually more expensive. As mandated through the state, nursing homes in Texas must have a skilled nurse who is available for occupants at all hours of the day and overnight. In Texas, the typical price of living in an assisted living facility is often 15-20% less than the price of sharing a room in a nursing care facility in Frisco. Research regional care homes in the area to find the perfect setting for you or your family member. The need to relocate to a senior care community can come sooner than we predict. The financial burden for prospective residents on a minimal income can cause anxiety at a tough time. Taking advantage of federally backed government aid can help alleviate the fiscal stress making the transition simpler for family members. Locate more info below on federally financed services like Medicare and Medicaid or visit the medicare.gov site for qualifications and registration. Nursing Homes, sometimes designated Skilled Nursing, continue to become innovative, as other options have become available. Nursing centers thrive in providing complete care and medical services to seniors with potentially serious medical problems, and those with severe physical or mental illnesses.These facilities employ licensed & certified nurses, doctors and aides in their facilities. These licensed care takers are trained to provide healthcare to all patients. Some nursing homes provide advanced medical equipment and pharmacies on site. Other states may use similar terms to describe nursing homes which include Skilled Nursing Care, Long Term Care Facilities and Health and rehabilitation centers. Click or see below to view a list of Nursing Home Care Options in Frisco, TX that might fit your needs. Some Rehab and Care communities in the Frisco area have different living options available, from semi-private rooms,to private rooms with en-suite baths & mini-kitchens. Nursing Homes may also provide recreational rooms and daily interactive activities for residents. These communities provide daily meals to residents along with medication dispensing, assistance with grooming and bathing, medical treatment,transportation, and many types of rehabilitation services. Frisco is a populous city with a population nearing 140,000. Frisco is also apart of the Dallas-Fort Worth metropolitan area. Frisco is surrounded by major cities such as The Colony, McKinney,Plano and Carrollton. Frisco,Texas, hosts many museums, The FC Dallas Stadium and th eDr.Pepper arena and park.The city of Frisco has around 170 hospitals and medical complexes in the area for you and your loved one.